It actually failed another time and I switched brands to Corsair (I think), and it hasn’t failed since. Might be an incompatibility with PNY and my HP system. Possible. It’s been running like a champ since then. Still have minor issues with my second monitor randomly changing resolutions or the system not detecting it. I’m pretty sure that’s because it’s dying and I need to replace it. I’ll just keep using it until it dies completely. It has been a long year. Understatement. It’s hard to believe it’s been a year. Lots of things have happened. I’ve been working a lot. All the time. I haven’t written much poetry recently. I have been reading. Went to Disney for the first time in 10 years last month. I want to go back. 🙂 I’m an annual passholder so I might do that for a weekend or something. I’ll be going on a cruise in Feb. First one in more years that I want to think about (high school graduation). To Mexico this time. Never been so this should be fun. Maybe I’ll go write something. A poem, a story, maybe a novel. Nah, too ambitious. 🙂 Although, #NaNoWriMo is coming up. Maybe. Definitely need to write more here. So, I got a new SSD drive from PNY back late October when the drive failed mid-October. Installed Windows 10 from a DVD I had created, and viola! I have an operating system back. Kind of unusual to have an SSD drive fail from talking with hardware friends (first SSD drive). But, it was dead Jim. Thought I had the extended warranty with Microcenter, but didn’t. Luckily, PNY warranty service was good after I figured out how to file. Ended up with Office 2016 instead of 365 since I have a subscription. So far so good. I got frustrated enough that I reset my Windows 10 machine. Took three tries but finally got there. It still hasn’t worked properly since the upgrade. Got a few programs reinstalled and it went back to the really slow boot and permissions issues. I’ve managed to figure out my permissions issues. Make sure your Administrator account is enabled. It’s disabled by default. Those programs that required installation with administrator access actually use the administrator account. Go figure why it was disabled in Windows 10. Below is what my computer is doing right now. This is what I call the “beach ball of frustration”. You know, the icon the rolls around in a circle while you wait for some process to finish. Yep. It’s back. In spades. To say that I’m still frustrated is an understatement. When it works, it’s great. Then Windows update comes along and I’m back to square one. While I told it to schedule when to reboot, it still frustrates me that it will auto-reboot my machine. Very unhappy with that. So, I’ve asked a friend when he gets time to come up and take a look at it. I’ve been out of the loop on hardware/software/OS support long enough that I’m not up-to-speed on the new technology. And my HP Z600 Workstation is close enough to a server that I’m REALLY not up on hardware knowledge. So. 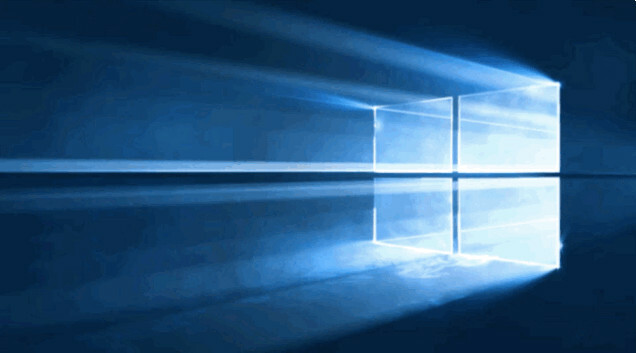 I took the plunge and upgraded my main computer to Windows 10 from Windows 7 the morning of 7/29/2015 – release day. I post on Facebook about this so some of this repetitive. I signed up for the upgrade a month or so ago when my HP Z600 Workstation gave me the opportunity. 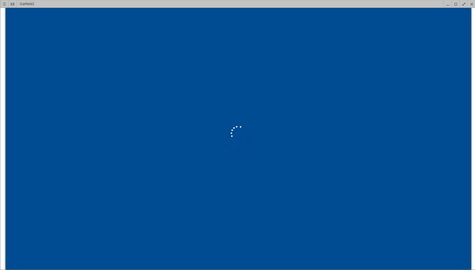 Then the windows icon stayed in the systray for awhile, until the 29th. Upgraded and things went pretty smoothly. The the problems started. First, the screen kept flickering like windows was restarting…every 30 secs. Went to the forums and found the solution: iCloud auto startup. Disabled that and Cortava because it was the one restarting. I go onto my blog site and realized that I haven’t posted in over a year. Ooops! I actually wrote more poetry but I’m not exactly sure where I put it. It was in the middle of the night. I’ll have to find it and post. Probably #Evernote. I love that program. We are back in the house after the fire. See post here. Round one of insurance completed, and 2nd and final round will be happening soon. I was laid off, searched for work, and found a new job since my last post. Most know if you follow me on Facebook or G+ as I regularly update there. Well, more often than here obviously. I was messing around with domains (I have a spare) and so I’ll probably point it to here for the time being: http://www.whaley-design.org. Perhaps I will post more poetry and such. I seem to be doing this. Just posted some more poetry from my archives. I’ll probably write more later. Maybe. It’s snowing here in Atlanta. Well, it was snowing this morning. It is supposed to clear up, get a little warmer, then the temps tumble while the rain/freezing rain returns tonight. Tomorrow will be interesting. Update on the fire: moved into rental house last week. Just got phone but no DSL (sad face) today and Dish satellite yesterday. Running internet through my cell phone. Luckily, it’s not terrible in the data department. Did this while in New York last year and it only up’d my usage to about 1 to 1.5 GB in a week. I expect this week to do about the same. Until we get internet at the house, this is what we’ll have to do. Now that the internet is back, off to do some more work. I will post another poem from my back collection sometime today or tomorrow. I’ve considered doing something for #NaNoWriMo but not sure how poetry and novels work. I’ve considered writing a novel, and I might, but I don’t know what I would write. Several of my friends are posting that they plan to write. It will be cool to see what they come up with. Work is good (I work full time) and I’m considering starting a blog for legal technology. We’ll see. Once I’m back in the swing of things, I might do that. In case you have no idea what NaNoWriMo is, it’s a month that authors sign up at nanowrimo.org, dedicate that month to write at least 50k words, and get prizes. And a T-Shirt. 🙂 T-Shirts are important: Been there, done that….you get the picture. Had to steal my iPad back from my daughter. She took off with it (I gave her my permission) Sunday night since I wasn’t using it. Then I wanted to use it yesterday. *sigh* Now I have to charge it and it’s doing odd things when it’s low on power. Very strange. I did just update it Sunday too. I might need to reboot it again.